This is certainly an unusual error. Or... worldbuilding? 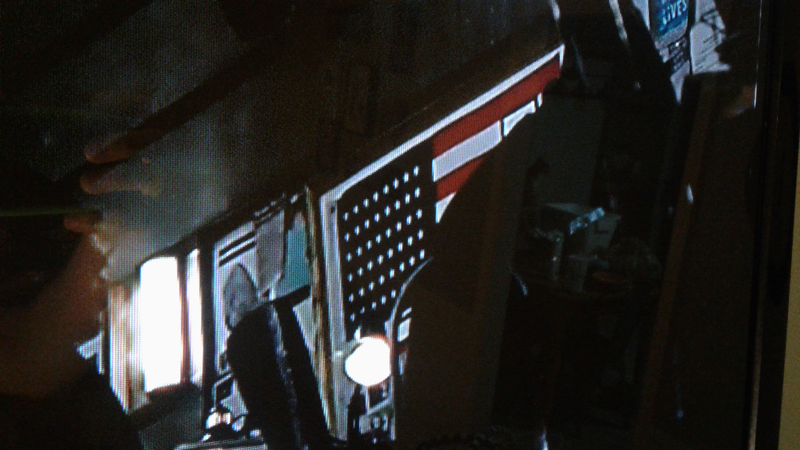 An eagle-eyed redditor, u/st1tchy, found something interesting in a frame of Justice League: that, during a moment right after Commissioner Gordon is introduced, we see a United States flag—with only 48 stars. You can clearly see that the star has six rows of eight stars, a version of the flag that was in use from 1912 until 1959, when Alaska was introduced into the Union. 1) A production error. This is most likely what happened, someone pulled the wrong prop from the fancy studio prop closet and now this is what we’ve got. It happens. 2) The way more fun option. In the DC Extended Universe of film, it’s canon that the United States only has 48 states. What happened? Where are Alaska and Hawaii? Does LexCorp own them? Did they get destroyed in some terrible super cataclysm? Have sea levels risen very high in very strange places?